GuaraTEC monolithic roofing system is a one part, hot melt, self-healing membrane manufactured from a blend of polymer-modified bitumen, natural rubber and ultra-light fillers reinforced with high tensile heat-resistant polyester fabric to provide exceptional strength and flexibility as well as giving excellent adhesion to almost any substrate for use in cold or inverted applications. 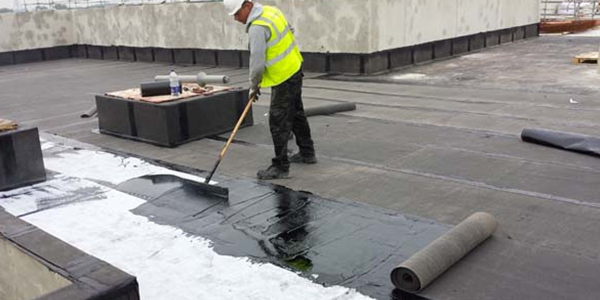 GuaraTEC is a fully-bonded BBA Certified system and does not allow water ingress to track and the source of any the leak easily traced. Our design team can work with architects and contractors to help design the best and most suitable system for podiums, balconies, walkways, roofs etc. to ensure your project in the dry and rolling ahead of schedule.